"That's like the second biggest mustache I've ever seen." 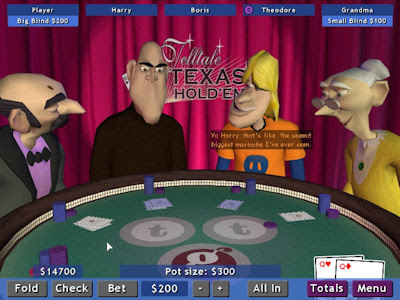 In-jokes were a huge part of LucasArts' games, and Telltale carried on that tradition early on, with their first game Telltale Texas Hold'em. This in-joke refers to the line "That's the second biggest monkey head I've ever seen" from The Secret of Monkey Island, which in itself was a play on Agent 86's famous catchphrase from the television series Get Smart.